a night has just begun. Sometimes time doesn’t only fly when you’re having fun, but it can also fly when you are not having fun. In the past, I remember a lot of days that just wouldn’t pass and went by so so slowly, but now, even when the days are depressing or sad or empty, they just pass so quickly. Suddenly times passes so much quicker now my move abroad comes closer – and I’m ready and I’m not ready. Departure day used to be quite far away, somehow it came close so fast while it seemed far away and there was plenty of time, and now I can feel the minutes and seconds coming close. Somehow, things are overwhelming me. I wanted to be completely ready to leave but I am still not. There are still plenty of things to do; pack one of my bags, print my tickets, arrange my room. But somehow inside of me there is complete chaos. There are certain feelings that I find difficult to deal with. Rationally, I know this is the right thing to do and that this will be a good step which hopefully makes me move forward again, but emotionally, or something, there are so much things going on I can not really find the words for to describe and I find very hard to handle, and don’t really know how to deal with. It’s mixed up, and I feel these waves going through me that feel like I will crash and explode like waves can crash on the shore – waterdrops into so many tiny pieces, crushed, all over the place. I guess I should let certain things go, but, I don’t seem to be able to do so. Really, I wish letting go was easier, with certain things. I seem to be an icecube that can not move. But time doesn’t wait or stop. That is very, very clear. Life doesn’t wait, nothing waits. Got to move. Nothing waits. But I’m standing still. The life I lead is not mine. It’s not me. But I have to move. Even when I froze, I have to move. Well, I might be “away” for a (little?) while soon because in a few days I will make my move abroad. And I have no idea how internetacces will going to be. Also, I don’t have a computer myself I can take so it may stay quiet for a while. I hope I can continue writing and reading and get back on wordpress, because lately it felt nice to be on here somehow. I appreciated the interactions with fellow-bloggers, and learning and reading from you/them. But it might be a bit difficult in the upcoming few weeks to acces the world wide web. I don’t know how things will turn out. Guess I’m a bit scared for what will come, but, I am also scared about the current situation. Conflicting feelings again. Well anyway, I’m still ready, even if I’m not ready. it’s booked, and coming close, soon . 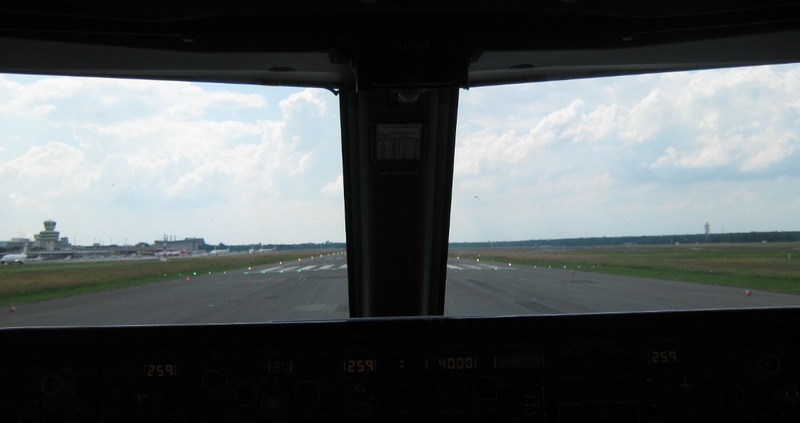 Some time ago I wrote the post “Ready for take off”. This is the sequel to that story. Time is ticking so fast away, even in the world of nothing. It goes so much faster than I want/can imagine somehow, but time doesn’t wait. And so the time I’m going to leave my country comes soon. For a long time now I haven’t been feeling happy with my life. And somehow not in this country either. Even though I was born here, doesn’t help. Maybe because I grew up between two completely different countries and cultures and those contrasts were constantly there. But somehow, I don’t feel at home at none of both of those countries. It’s like I do not belong anywhere. My life has been mostly about surviving, and struggling, and trying to hang in. For a long time I lived on autopilot. When I reached my twenties, somehow I woke up. Somehow I managed to hold a job for some time (and save money) next to a study on university and (with a lot of delay) I did graduate in the end, but it didn’t bring me anywhere really. Still have the debt from my study to pay off. And okay, I’ve been very ill for some while so that came in between and disturbed a lot of things as well but I don’t want to make that an excuse, because I think even without that it would have turned out this way, at least, the chance was big. But in fact, another problem (or maybe problem that was already there, but I managed to avoid so far, came on the surface). I graduated, but what now? No job, a killing competition for the very few jobs, and stuck with myself, a depressed nobody trying to hang in. I never managed to step in to the “normal” life ( I hope you get what I mean by that, I know there is no real normal but yeah). And now that my twenties have ended, I feel more lost then ever. I’m sitting at home (well, not even my home) for over 6 months now absolutely doing nothing. I didn’t apply ( somehow I couldn’t), and time just goes by. A lot of thoughts passing my mind, but action? Almost zero. And I know I can not keep on living like this. But I lost my purposes, my dreams, my motivation, all those things that make humans move forward, IF, I repeat, IF, I ever had those. But, I made a choice. I need to leave here. I need to leave this environment. I HAVE to. I’m dying here. It’s not going to be okay here. So I am going to move in a couple of weeks to another country. Some time ago I got in touch with some kind of organization that has these kind of volunteering projects for ‘younger people’ ( not that I see see myself as ‘young’ anymore) that covers a lot expenses (Via some European Union funding that seems to be available – before I never knew.) I will have a place to live, my insurances are paid for, I will get some money to buy food, the travelcosts are mostly covered – and, I will do some work, without pay, but hey, with the rest that is not so bad – together everything will be more than I have right now because: I have 0 income, nothing, no benefits, and the bills for insurances and such keep coming, my bank account going into a disaster if I don’t take action someday… well anyway, when nothing comes in at all, things go fast and that feels very uncomfortable – where is the end? So in fact the going abroad thing isn’t more worse, right? And now, I started packing. Packing stuff for a year (I’ve signed up for the longest time possible). But packing for a year? That is an adventure ittself….winter, summer, you have to think of everything. But I guess often you take too much stuff so I will just try to reduce it as much as I can and take mostly clothes and shoes. Guess what I miss I just have to buy there. A lot of mixed feelings. I don’t know how to feel about this. I’m excited, but dissapointed and scared at the same time as well. Will I be able to be less invisible there and interact with people? Will I be able to feel okay? Will I be able to get myself doing things? 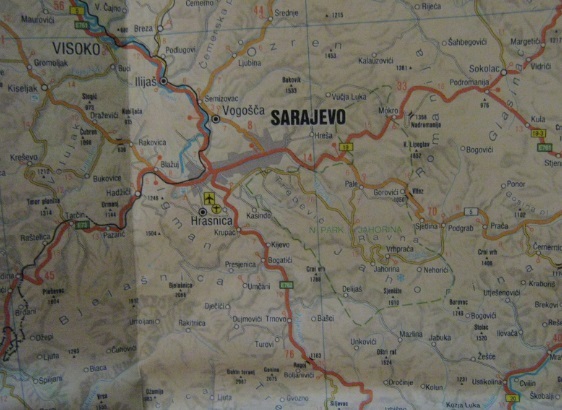 Book my flight to Sarajevo. A picture of last year. Airplane ready for take off. It recalls good memories, though they are far away. Maybe, it was even a moment in life that I wanted to last forever. But this happening, was probably a rare occasion: I don’t think I’ll ever have a chance again to be able to be part of a whole flight including the whole take off and landing in a cockpit with the pilots. But I am very grateful that I had this opportunity, still now. Because I like flying. The world from out of the air is different. I like seeing the world from above, from out of the air. I love being in the air. It’s some freedom, some distance, that makes me feel good, or something. Just floating all over the world without having to be stuck in some place or situation. You just fly and float away. Moving. A pleasant feeling, somehow. Though I don’t fly too often, it won’t take too long before I will board an airplane again. And this time ‘take off’ will going to have more meaning than it ever had before. I can not really say I’m ready for this take off. And I will definitely go with a lot of mixed feelings this time. A lot of mixed feelings. I haven’t wrote anything about this yet, but probably soon I will share a bit more about what is going to happen. (At least, what SHOULD happen in a while, since apathy and depression aren’t the nicest companions for certain things). So I guess this will be continued….